You’ve submitted your UCAS application. Congratulations – you’ve taken a first important step on your journey to university. Depending on the course you’ve applied for, we might invite you to come for an interview before we decide whether to offer you a place. 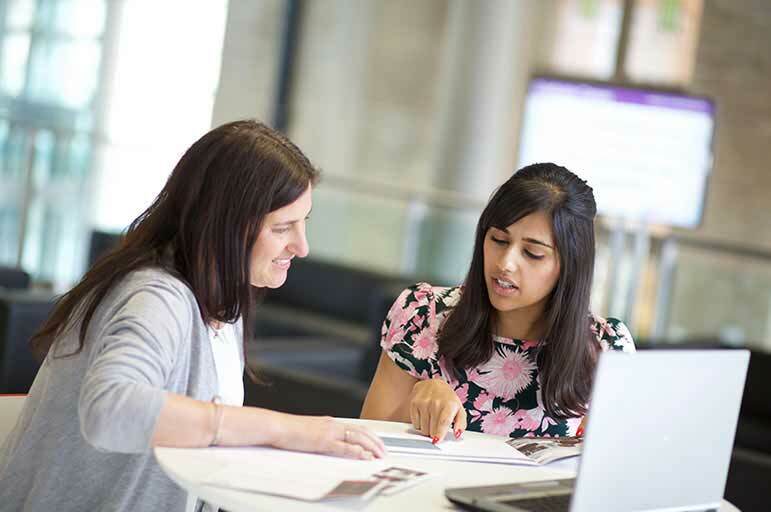 Find out everything you need to know to prepare for your interview at Nottingham Trent University (NTU), what to expect on the day, and what happens next. give you the chance to explain and expand on the skills and experience you talked about in your UCAS application. details of any work or documentation that we’d like you to bring with you. Still have questions about how to prepare after reading the information email? Feel free to get in touch with the relevant School contact included with your interview details. What can I expect at my interview? your relevant experience and skills. We’d also like to find out why you want to do this particular course and your reasons for wanting to do it at NTU. When will I find out if my interview was successful? After your interview, we’ll make a decision within three to five working days. Our Admissions Team will then submit this decision to UCAS Track within another three to five working days. In total, you shouldn’t wait longer than 10 working days before a decision appears in your UCAS Track. What happens next if you make me an offer? If we make you an offer, this will show against your choice in UCAS Track. Any conditions of the offer will also be detailed in Track. Don’t forget to respond to your offer by the UCAS response deadline, which can be found on the UCAS website. Depending on what course you’re doing, we may also invite you to one of our post-application offer holder events so that you can visit NTU again. You’ll find this event, held by your School, a great opportunity to find out more about your course. Many Schools run workshops and sample lectures as part of their event so that you can really begin to see what it would be like to be a student at NTU. You’ll also get the chance to talk to staff and current students. Read through your application and personal statement again and be ready to elaborate on anything you wrote. Prepare some questions beforehand – asking good questions will impress your interviewer(s) just as much as good answers will. Plan the practical details e.g. what you’re going to wear, how you’re going to get to the interview to avoid stress on the day. Pay attention to your body language – it’s key! Sit up straight, smile, make eye contact and look and sound interested. Listen carefully to the questions and take your time to answer them. Make sure you answer the questions you’re asked, not the ones you want to be asked! Above all, remember that we were impressed enough with your application to invite you to an interview. Just be yourself and see the interview as an opportunity to discuss your application and find out more about the course. We’ll be sending you important reminders, invites and updates on your application in the post / via email. Make sure all your details are up to date on UCAS so that everything reaches you. Don’t forget to look out for further interview information and portfolio advice in the post / via email from your specific School. UCAS has useful information on interview invitations. Which? University has a page of top tips on interview preparation. Studential.com has a list of sample interview questions and ideas for answers to help you prepare.